Okay, actually just unwrapping — but hey, this would be the best present you could ever get for Christmas. 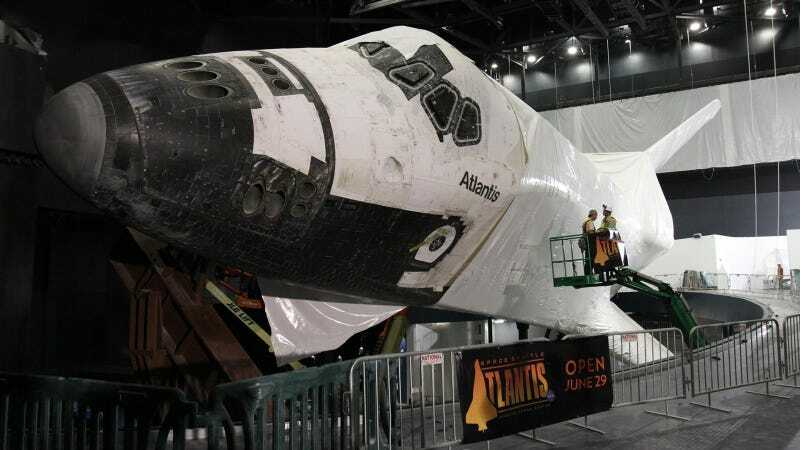 Workers started carefully removing the protective shrink wrap over space shuttle Atlantis today at the Kennedy Space Center Visitor Complex as the historic spacecraft is prepared for its role as the centerpiece of the center's new exhibit hall and attraction. With the grand opening coming up June 29, the specially built exhibit hall will be outfitted with modern displays and artifacts from NASA's 30-year space shuttle era.